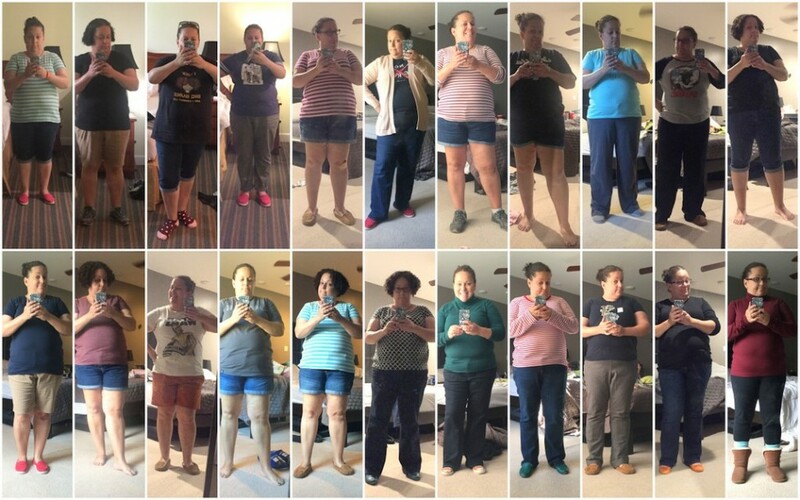 This was September…running around Disney World in shorts and sneakers, then getting through back to school craziness, also in shorts and sneakers. September was hot this year. We finally got the first good turtleneck day on the 24th, and look at that giant grin I’m sporting in that teal turtleneck. Fall is my season! I’ve had a cold the past few days, and it’s been raining nonstop for the better part of a week, but I don’t care. Fall is here, and fall weather is finally here, and these are my happy things. And now it’s October! My favorite of all months! And September was great. We had a great start to H’s school year, and she’s just rocking age 4. Check-in with her teacher and check-up with her doctor all brought excellent news, that kid is pretty damn amazing. I’m looking forward to Halloween decorating next week and a whole lot of fall adventures. All good things. September! First Month of School Outfits!